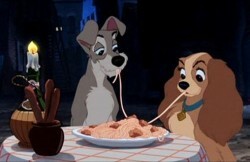 Recently the classic Disney film Lady and the Tramp came out onto Blu-ray, with all the canine and spaghetti fun in high definition! And to find out more about our favourite characters, Alex was joined in The Junior Club by TV dog trainer, Robert Alleyne. He had some top tips for dog owners out there for you, explained why dogs can be so good for you, and even whether it’s better to go for a pedigree like Lady or a mix like Tramp!